The Texas Department of Criminal Justice has a need for accredited correctional officers at the county, state, and federal levels in their state-run and private facilities. At the state level, Texas is divided into 6 jurisdictions in order to better process and meet the needs of inmates. Some facilities, like Crain Unit, Hilltop Unit, and William P. Hobby Unit exclusively house female offenders. Others, like the Alfred D. Hughes Unit and O.L. Luther Unit are entirely male. This division, while necessary, underscores the need for both male and female corrections officer recruits. While incarceration rates are leveling off, the commitment of the justice system to avoid re-offense means that there is still a growing trend in the corrections workforce. By 2022, BLS.gov predicts that Texas' 41,038 correctional officers will have grown in number to 43,089 employees; the Department of Criminal Justice is a major employer throughout the state. If you're interested in a dynamic and challenging career with lucrative opportunities for advancement, read more about the corrections industry in Texas below. The mission of the Jarvis Christian College Criminal Justice Department is to provide students with broad-based learning experiences in law enforcement and the American judicial system. By emphasizing the development of students’ analytical and critical thinking skills, the Criminal Justice program prepares students for careers in law enforcement and the criminal justice system. Jarvis provides real world, experiential activities for students majoring in criminal justice to include site visits to law enforcement agencies, courthouses, graduate schools and law schools, and opportunities to interact with and shadow local law enforcement officials, court officials, and attorneys. “Our faculty has the experience and credentials in the law enforcement arena to ensure that our students are well prepared for mid-level careers in law enforcement and are capable of making an immediate impact when hired into a new law enforcement position. Our faculty and college have established relationships with law enforcement professionals and law enforcement organizations and we offer pre-professional chapters on our campus,” stated Calvin B. Lester, Jr., Lead Professor of Criminal Justice. Jarvis Christian College is the sole historically Black liberal arts, baccalaureate degree-granting institution affiliated with the Christian Church (Disciples of Christ). Located in Hawkins, Texas, the mission of the college is to prepare students intellectually, socially, spiritually and personally to function effectively in a global and technological society, to pursue professional and graduate studies, or to begin satisfying and productive careers. Paul Quinn College ranks 2nd in our latest rankings with four students graduating from programs in corrections and law enforcement administration out of a total 32 students in the 2012-2013 school year. Wiley College ranks 3rd in our rankings with 36 students completing programs in criminal justice and law enforcement administration out of a total 288 graduates. Texas College ranks 4th in our rankings with twenty-three students graduating from programs in law enforcement administration out of a total 280 graduates from the 2012-2013 school year. Sam Houston State University ranks fifth in our latest rankings with 690 students graduating from programs in securities services administration and management, corrections, and law enforcement administration out of a total eight thousand graduates in the 2012-2013 school year. Sul Ross State University ranks 6th in our rankings with sixty-six students completing programs in criminal justice out of a total 1,130 graduates. University of Houston-Downtown ranks seventh in our rankings with 269 students graduating from programs in securities services administration and management and criminal justice out of a total 4,872 students from the 2012-2013 school year. Texas A & M International University ranks 8th in our latest rankings with 106 students graduating from programs in law enforcement administration and criminal justice out of a total two thousand students. Kilgore College ranks 9th in our rankings with 150 students graduating from programs in criminal justice and law enforcement administration out of a total 2,934 graduates in the 2012-2013 school year. Temple College ranks 10th in our latest rankings with 69 students graduating from programs in criminal justice out of a total a thousand graduates from the 2012-2013 school year. 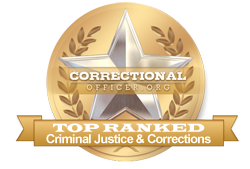 Angelina College ranks eleventh in our rankings with sixty-three students graduating from programs in corrections and criminal justice out of a total 1,412 graduates in the 2012-2013 school year. College of the Mainland ranks twelfth in our latest rankings with fifty-nine students graduating from programs in criminal justice and criminal justice out of a total 1,344 graduates from the 2012-2013 school year. Lamar Institute of Technology ranks 13th in our rankings with fifty-one students completing programs in criminal justice out of a total a thousand graduates in the 2012-2013 school year. Remington College-North Houston Campus ranks fourteenth in our rankings with thirty-one students completing programs in law enforcement administration out of a total 758 students from the 2012-2013 school year. Mountain View College ranks 15th in our rankings with 64 students graduating from programs in criminal justice out of a total a thousand graduates in the 2012-2013 school year. Huston-Tillotson University ranks 16th in our rankings with eleven students completing programs in law enforcement administration out of a total 284 students from the 2012-2013 school year. Eastfield College ranks seventeenth in our latest rankings with 78 students completing programs in criminal justice out of a total 2,028 graduates. Remington College-Houston Campus ranks 18th in our rankings with 21 students completing programs in law enforcement administration out of a total 556 graduates. Galveston College ranks nineteenth in our rankings with 33 students completing programs in criminal justice and criminal justice out of a total 936 graduates in the 2012-2013 school year. Navarro College ranks 20th in our rankings with 112 students graduating from programs in criminal justice out of a total three thousand students. Alvin Community College ranks 21st in our latest rankings with 68 students graduating from programs in criminal justice and criminal justice out of a total 2,000 graduates from the 2012-2013 school year. South Texas College ranks 22nd in our rankings with 263 students graduating from programs in criminal justice and criminal justice out of a total 7,926 graduates. Northwest Vista College ranks 23rd in our latest rankings with ninety students completing programs in criminal justice out of a total two thousand graduates in the 2012-2013 school year. Wharton County Junior College ranks twenty-fourth in our rankings with fifty-eight students completing programs in criminal justice out of a total a thousand graduates. The University of Texas-Pan American ranks 25th in our latest rankings with 236 students graduating from programs in law enforcement administration out of a total 7,234 graduates from the 2012-2013 school year. Palo Alto College ranks twenty-sixth in our latest rankings with 60 students graduating from programs in criminal justice out of a total a thousand students in the 2012-2013 school year. Texas A & M University-Central Texas ranks twenty-seventh in our rankings with forty-five students graduating from programs in criminal justice and law enforcement administration out of a total 1,408 graduates in the 2012-2013 school year. Blinn College ranks twenty-eighth in our rankings with 74 students completing programs in corrections, criminal justice, and criminal justice out of a total 2,378 graduates in the 2012-2013 school year. Wayland Baptist University ranks 29th in our rankings with 134 students completing programs in law enforcement administration out of a total four thousand students in the 2012-2013 school year. Remington College-Fort Worth Campus ranks 30th in our latest rankings with 20 students completing programs in law enforcement administration out of a total 712 graduates in the 2012-2013 school year. Remington College-Dallas Campus ranks thirty-first in our rankings with forty-five students completing programs in law enforcement administration out of a total a thousand graduates in the 2012-2013 school year. Tarleton State University ranks thirty-second in our rankings with 131 students completing programs in criminal justice and law enforcement administration out of a total 4,696 students. Prairie View A & M University ranks 33rd in our rankings with 80 students graduating from programs in juvenile corrections and criminal justice out of a total 2,900 graduates from the 2012-2013 school year. Northeast Texas Community College ranks thirty-fourth in our rankings with thirty-three students completing programs in criminal justice out of a total a thousand graduates. Laredo Community College ranks 35th in our latest rankings with eighty-seven students graduating from programs in criminal justice and criminal justice out of a total 3,260 graduates. San Antonio College ranks 36th in our latest rankings with 131 students graduating from programs in criminal justice, corrections, and criminal justice out of a total four thousand students. South Plains College ranks 37th in our rankings with seventy-two students completing programs in criminal justice and law enforcement administration out of a total 2,792 students in the 2012-2013 school year. Austin Community College District ranks 38th in our rankings with 128 students completing programs in corrections and criminal justice out of a total 4,992 students from the 2012-2013 school year. Central Texas College ranks thirty-ninth in our latest rankings with 184 students graduating from programs in criminal justice and criminal justice out of a total 7,518 graduates. Howard College ranks forty in our latest rankings with thirty-eight students graduating from programs in criminal justice, law enforcement administration, and criminal justice out of a total 1,560 students in the 2012-2013 school year. Texas State University ranks forty-first in our rankings with 355 students completing programs in criminal justice, criminal justice, and corrections out of a total fifteen thousand students. El Paso Community College ranks 42nd in our latest rankings with 195 students graduating from programs in corrections and criminal justice out of a total 8,360 graduates from the 2012-2013 school year. Grayson College ranks 43rd in our rankings with 44 students graduating from programs in criminal justice and criminal justice out of a total a thousand students from the 2012-2013 school year. The University of Texas at San Antonio ranks forty-fourth in our rankings with 263 students completing programs in criminal justice out of a total eleven thousand graduates in the 2012-2013 school year. Cedar Valley College ranks 45th in our rankings with 43 students graduating from programs in criminal justice out of a total 1,952 students in the 2012-2013 school year. Texas A & M University-Corpus Christi ranks 46th in our rankings with 85 students graduating from programs in criminal justice out of a total 3,878 students. Victoria College ranks 47th in our rankings with twenty-four students graduating from programs in criminal justice out of a total 1,102 students from the 2012-2013 school year. Hill College ranks forty-eighth in our latest rankings with thirty students completing programs in criminal justice and corrections out of a total a thousand students from the 2012-2013 school year. Hardin-Simmons University ranks forty-ninth in our latest rankings with twenty-one students graduating from programs in criminal justice out of a total 1,012 students in the 2012-2013 school year. The University of Texas at El Paso ranks 50th in our rankings with 189 students graduating from programs in criminal justice out of a total 9,214 graduates. Those candidates who are the most qualified based on Phase 2 criteria will be invited to enroll in the Texas Corrections Officer Training Academy. The weeks-long program is designed to provide a practical approach to working in a correctional facility. Successfully completing the training will certify candidates as Corrections Officers suitable for employment within the state. The state Department of Corrections in Texas encourages civic-minded citizens to look into the field of corrections for fulfilling and lucrative career opportunities. At this time, the median income for correctional officers throughout Texas is lower than the national average at $37,100, with the national median income at $39,800. According to occupational data for the state, available at http://www.careerinfonet.org/occ_rep.asp?next=occ_rep&Level=&optstatus=011000000&jobfam=33&id=1&nodeid=2&soccode=333012&menuMode=&stfips=48&x=67&y=9 and published by CareerInfoNet.org, state trends are predicted to experience a 16% growth curve from now until 2022 as compared to the national growth rate of 5%. This predicted growth pattern translates into 2,030 new openings and existing vacancies annually. The table below lists career information obtained from the BLS for correctional officers in Texas. The table is sorted by total employment, with the largest metropolitan areas listed first.